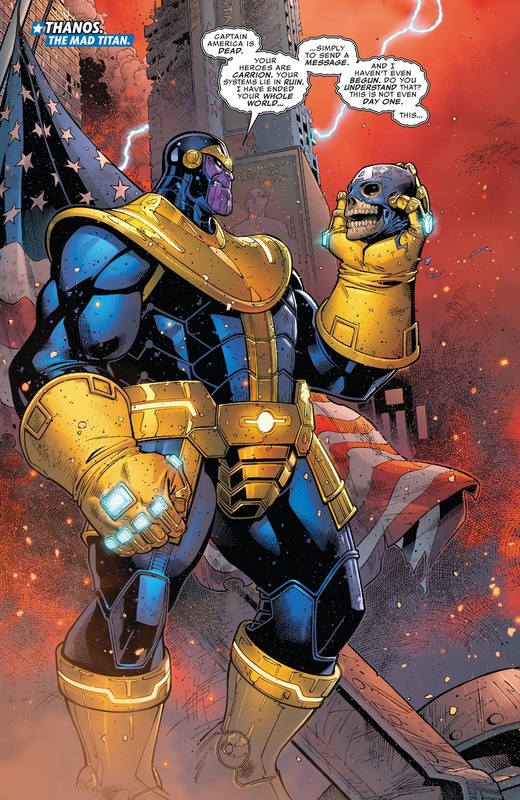 The first issue of USAvengers ended with a doozy with the tease of Thanos beating every Marvel superhero and then wearing two infinity gauntlets with cosmic cubes fitted on it instead of infinity gems/ stones. 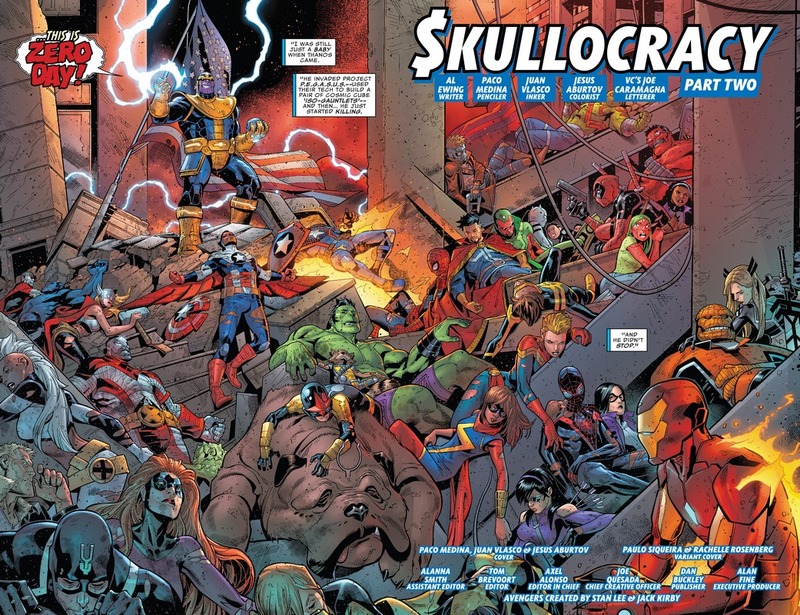 It wasn’t clear what was going on but USAvengers # 2 helps us with context. 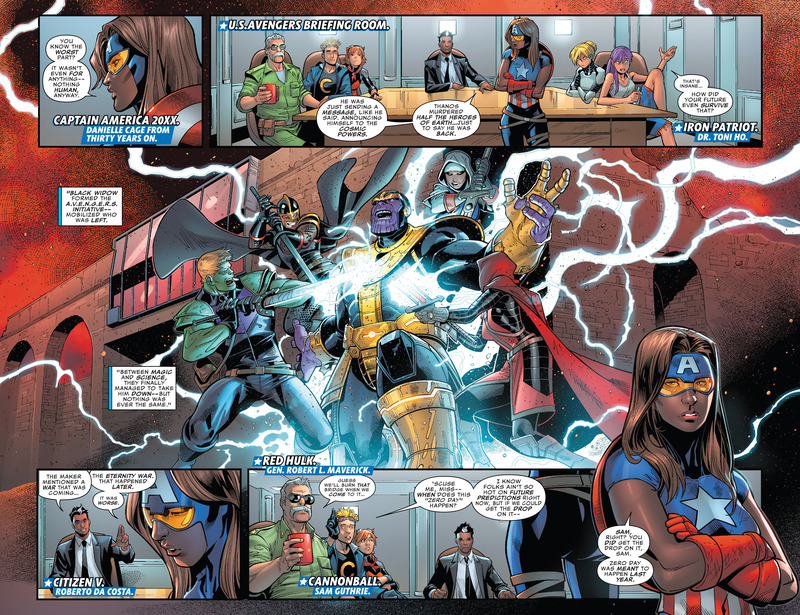 We kid you not, this is how writer Al Ewing chose to open the second issue of USAvengers. With Danielle Cage aka Captain America travelling back in time and letting Robert Da Costa’s Avengers team know what exactly happened in that time and how it pretty much screwed up the future. We know however that this happened during Marvel Now and its because we’ve already seen this happen although the outcome was different. According to Luke and Jessica Jones Cage’s grown up daughter from the future, Thanos already made this move but ultimately failed. This happened during the events of Civil War II # 0 which drastically changed with the death of War Machine. Cage also informs the newly formed team that Thanos was eventually taken down by Black Widow and her team of swordsmen including Black Knight. 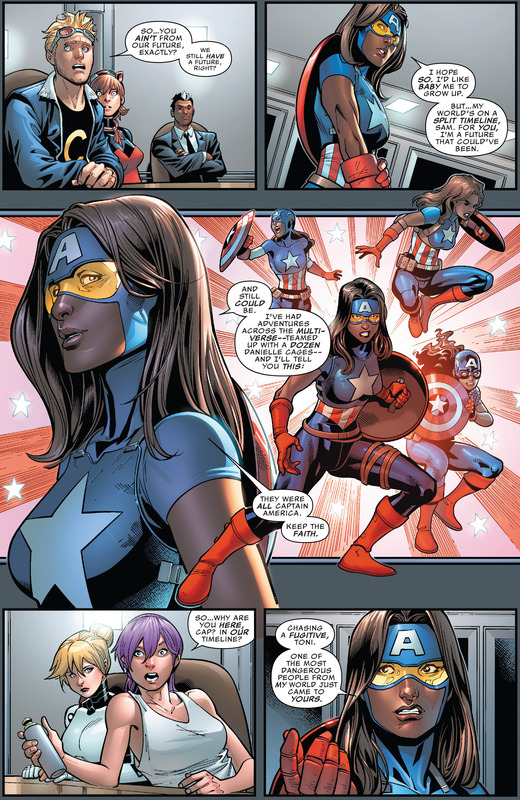 Bonus: In USAvengers # 2 we also find out that Captain America Danielle Cage has actually checked other realities and sees that she is actually destined to carry the mantle of Steve Rogers.